The science of artificial lift has evolved dramatically, driven by operational challenges ranging from high-pressure/hightemperature deepwater oil reservoirs to liquids loading in natural gas wells producing below the critical rates and pressures needed to keep wellbores unloaded. Arguably the biggest step changes in artificial lift technology, however, are being driven by the proliferation of horizontal wells in onshore resource plays, with their characteristic multiphase flow regimes and steep decline curves, according to Lloyd Heinze, a professor of petroleum engineering at Texas Tech University and executive director of the Southwestern Petroleum Short Course. Separating water down hole so that it does not have to be lifted to surface and then either disposed of or treated and recycled. Because of the limitations of the various types of pump systems, operators in many plays implement multiple forms of artificial lift at different points in a well’s production cycle. For example, Heinze notes, in Permian Basin tight oil plays such as the Wolfcamp, a well may be equipped initially with a jet pump or ESP to accommodate high flush rates, but then be converted to gas lift after a few months, and then to beam pumping after that, when production has declined to an optimal level for rod pumping. Similar in theory to solutions for downhole gas/liquids separation, but more complex in practice, economic downhole oil/water separation (DOWS) has long been a key objective for both operating companies and equipment manufacturers. There have been applications of different DOWS configurations in North America, but the technology remains a moving target. The idea, according to Heinze, is to separate water from oil using an in-well hydrocylone or gravity separation device, and then pump the oil to surface while directing the water within the same wellbore to an injection zone either above or below the productive zone. 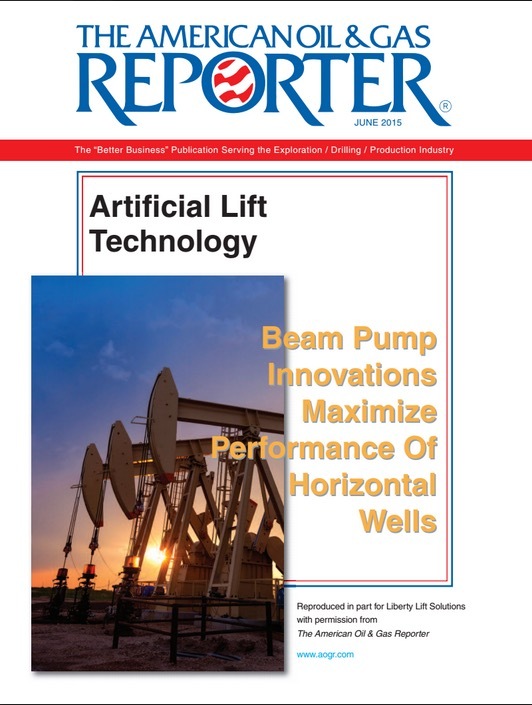 In the meantime, oil and gas companies’ quest to improve asset performance, boost production economics, and maximize EURs is sparking innovations across all types of artificial lift technology. They include beam pumping units. Liberty Lift Solutions’ beam pumping units offers both a high efficiency (HE™) and an enhanced geometry (EG™) design. Both types of units are engineered to meet the demands of horizontal applications, but the newer EG model includes a 192-degree crank rotation. Don Crow, vice president of sales at Liberty Lift Solutions, says his company is expanding its high-quality beam pumping product line to include both the high efficiency (HE™) unit and an enhanced geometry (EG™) design. Both the HE and EG beam pumping units are engineered to meet the demands of horizontal applications. For example, he says, the HE units have 186 degrees of upstroke rather than the 180 degrees common on conventional pumping units, giving them higher efficiencies because of the longer upstroke. However, Crow says the new EG configuration offers optimum mechanical efficiency during the pumping cycle upstroke, providing 192-degree crank rotation to add more time for pump fillage while reducing sucker rod forces and peak torque requirements. “The EG’s optimized design and phase angle extend the maximum permissible load range, with more lifting capability using less horsepower,” Crow states. Both beam unit designs are available in API sizes ranging from 57 to 1,280. The HE design is a straight-crank, conventional-style pumping unit, Crow clarifies. The EG is a phased-crank design. 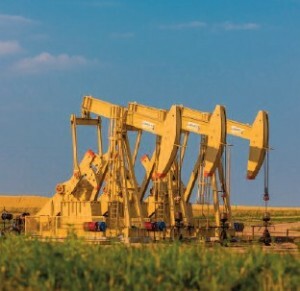 Gas lift and jet pumping are also viable solutions in liquids-rich horizontal plays, and often are used in tandem with beampumping units over a well’s early-phase production life cycle, Crow says. To keep pace with demand, the ULTRA- FLO™ hydraulic jet pump system by JJ-Tech, serviced and distributed by Liberty Lift, has undergone design developments, including combining JJTech’s Select-Jet™ downhole pump with the T-Series™ hydra-cell diaphragm pump from Wanner Engineering. Crow says the Select-Jet pump allows the operator to operate in normal or reverse flow without requiring a sliding sleeve or having to pull the completion. The Hydra-Cell pump, which is available in models from 3,000 to 5,000 psi, significantly reduces maintenance problems associated with conventional packedplunger pumps. The pump can operate with a closed or blocked suction line, and can run dry indefinitely without damage, he notes.